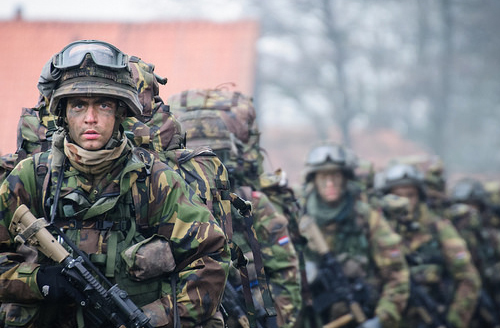 General Dynamics Mission Systems UK is designing a next-generation tactical information gateway for the Netherlands Ministry of Defence, as part of the Netherlands Improved Operational Soldier System (VOSS) programme. The new gateway, which is based on the NATO STANAG 4677 standard, will enable the exchange of information between the New Integrated Marines Communications and Information System (NIMCIS), the Royal Netherlands Marine Corps tactical C4I system, and the Smart Vest soldier system that is also in development as part of VOSS. The gateway is being designed to field with NIMCIS, which is based on the ComBAT Infrastructure and BCIP 5.5 system used by British Armed Forces. The NIMCIS programme was awarded to General Dynamics Mission Systems UK in 2005, and has undergone a number of enhancements over the last decade. Smart Vest is a co-operative programme intended for implementation by the Belgium, Netherlands and Luxembourg (Benelux) armed forces. The Netherlands are the single contracting nation for the Smart Vest capability, which sits at the core of its own VOSS programme. The Smart Vest system comprises a C4I system ( radio, display, GPS and computer); an energy supply subsystem, including batteries and connectors; and protection system including hard and soft ballistics, carriage vest, hydration system and rucksacks; will be deployed to soldiers and marines, primarily aimed at infantry platoon level and below, and will provide improved situational awareness and superior protection for the individual soldier. The initial contract, which was awarded earlier this year, is for a short study phase during which the detailed requirements and design for the gateway will be developed. The contract will also develop a proof-of-concept gateway for use in technical testing and user validation trials in March 2017. The gateway software is derived from General Dynamics Mission Systems–UK’s NetLink product, which is the datalink translation technology that is also used as the core of the Interoperable Gateway for Universal Access Networking Applications. The proof-of-concept gateway will be demonstrated during the International Data Links Symposium (IDLS) in the Netherlands on 1 to 4 November 2016. This is part of a collaborative demonstration with the Netherlands Ministry of Defence.